Hey there! My name is Marie, I'm a food writer and an amateur baker — and I have a die-hard sweet tooth. I was born and raised in France. Although I've been living in the US for almost six years, I still have a lot to learn when it comes to American food, especially Southern specialties. I've never been to the South*, but I've heard that's where they make the best desserts. 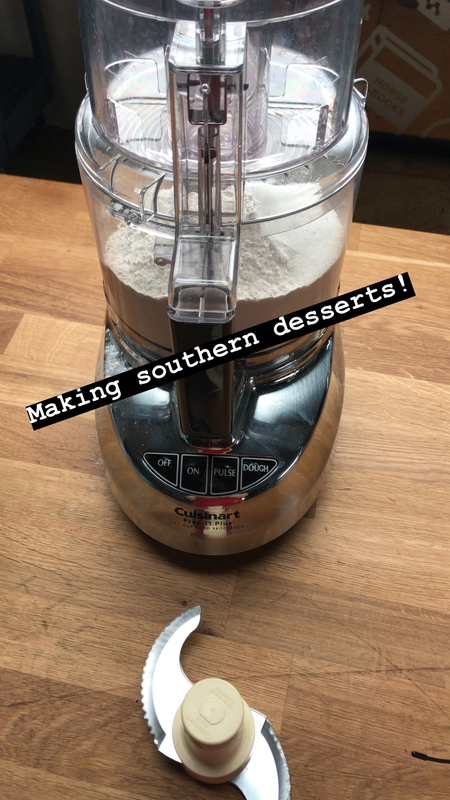 Since I couldn't afford a plane ticket to Georgia, I decided the next best thing would be to bake famously classic Southern desserts from scratch. This cake isn't as famous as the others on this list but it's got such a romantic and evocative name (to a French ear, at least) that I was intrigued. 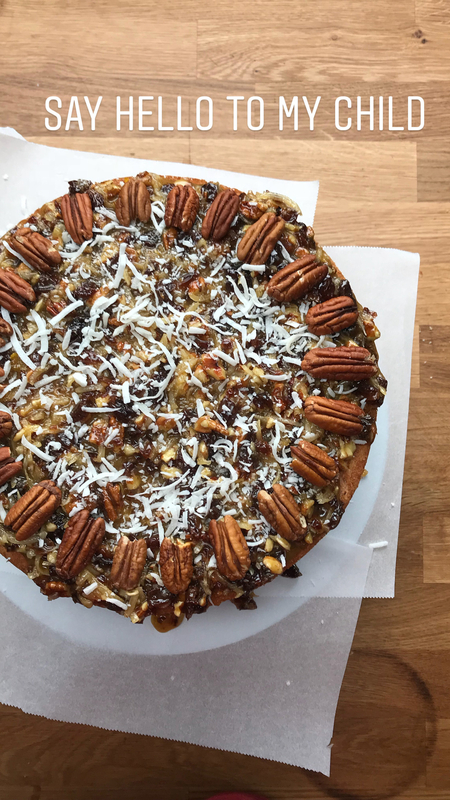 WHAT IT IS: The Alabama Lane cake, also known as Lane cake, is a sponge layer cake with a bourbon, coconut, raisin, and pecan filling. Which seems like a lot. But "a lot" appears to be a running theme among Southern desserts. 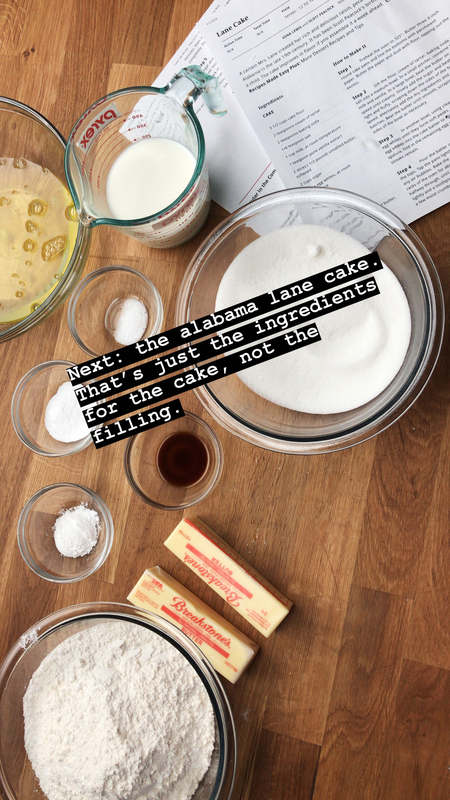 It was created by Alabamian Emma Rylander Lane in the late 19th century, and in true old-school Southern fashion, the cake is even mentioned in Harper Lee's To Kill a Mockingbird. I was a little worried about this cake tasting a little too ~intense~ for me. It calls for a 1/2 cup of bourbon — added at the very end so that flavor doesn't totally burn off. But I decided to do as the Southerners do, and go for it. TL;DR: I'm a weak French person who can't handle that much bourbon. THE RECIPE: Lane Cake by Southern chef Scott Peacock in Food and Wine. 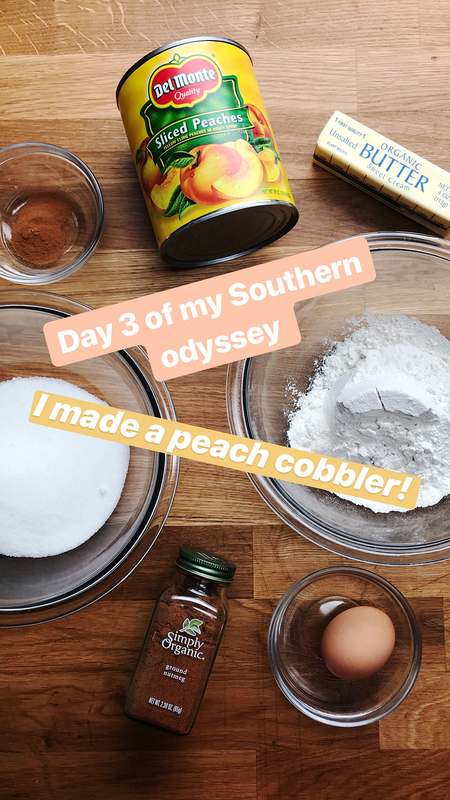 I'd never had peach cobbler before but everything about it — from the name to the descriptions I'd heard about it — sounded delicious. WHAT IT IS: There seems to be much debate around what a peach cobbler should look like. 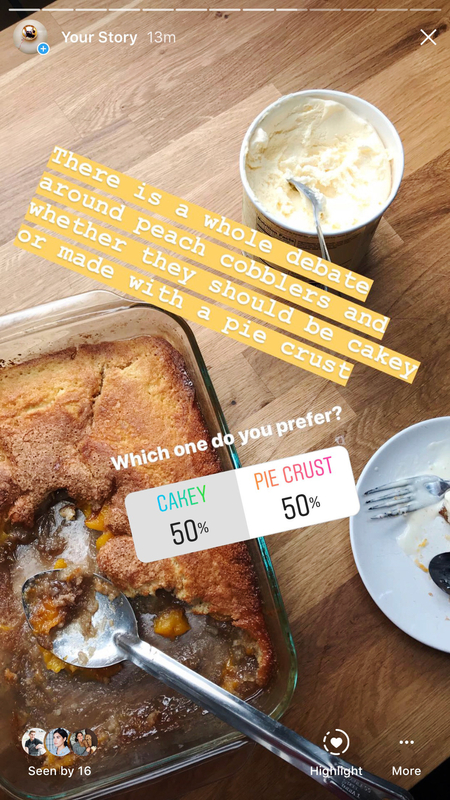 Some Southern co-workers told me they're used to peach cobblers with a pie crust top, while others preferred the cakey variety, where the fruits are topped and baked in a sort-of cake dough). All of them seemed to agree that peach cobblers topped with biscuits were a Northern invention, so I made sure to steer clear of that. Then, there's the question of the peaches. Should they be canned or fresh? Out of the four Southerners I talked to, three said their family recipe uses canned peaches, so I went with that. THE PROCESS: I ended up going for the cakey type because 1. My Georgian hairdresser said that was the right way, 2. Georgia is the peach state so she would know, and 3. She does my hair so I don't want to upset her. 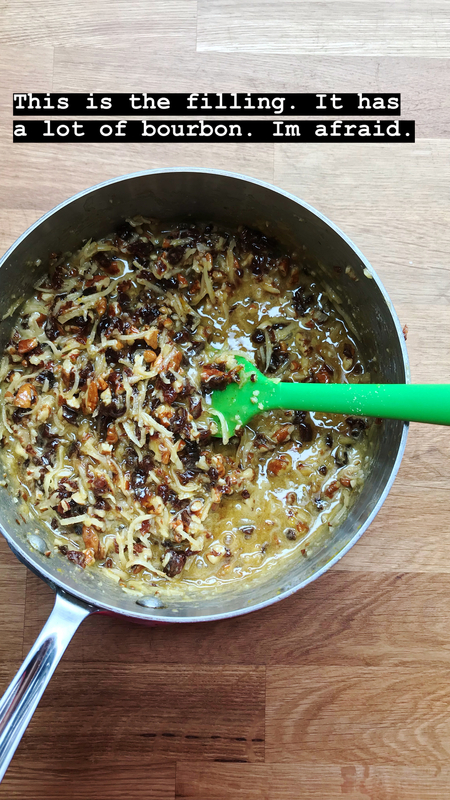 The rest of the process was ridiculously easy: stir, dump, bake. 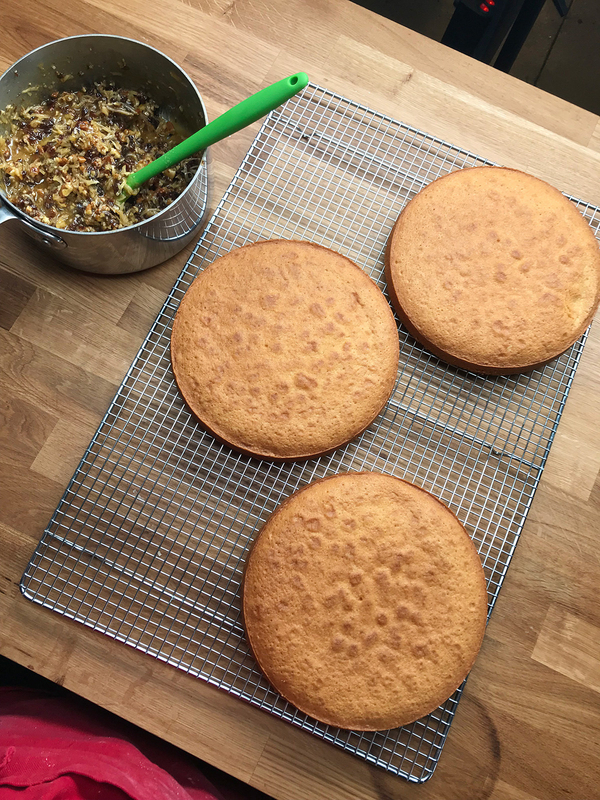 THE RESULT: The texture of the cake reminded me of a mix between cornbread and a French clafoutis. The top crust was a little caramelized which I really loved. Overall, it was very tasty but too sweet for my taste. I feel like the syrup from canned peaches didn't help here. Maybe it'd have been better with fresh peaches? TL;DR: Peach cobbler = really good but not mind-blowing. THE RECIPE: Peach Cobbler from Genius Kitchen. When I first read the description of a chess pie and saw that two of the primary ingredients were cornmeal and vinegar, it didn't sound appealing at all. But maybe Southerners knew something about vinegar-y cakes that the French didn't? I had to see for myself. WHAT IT IS: A pie with a filling that's basically a very sweet baked custard with cornmeal and a bit of vinegar. THE PROCESS: This probably was the easiest dessert I made that week. It was so easy that I decided to make my pie crust from scratch just because I could and also because it tastes better IMO (this is my go-to pie crust recipe, by the way). 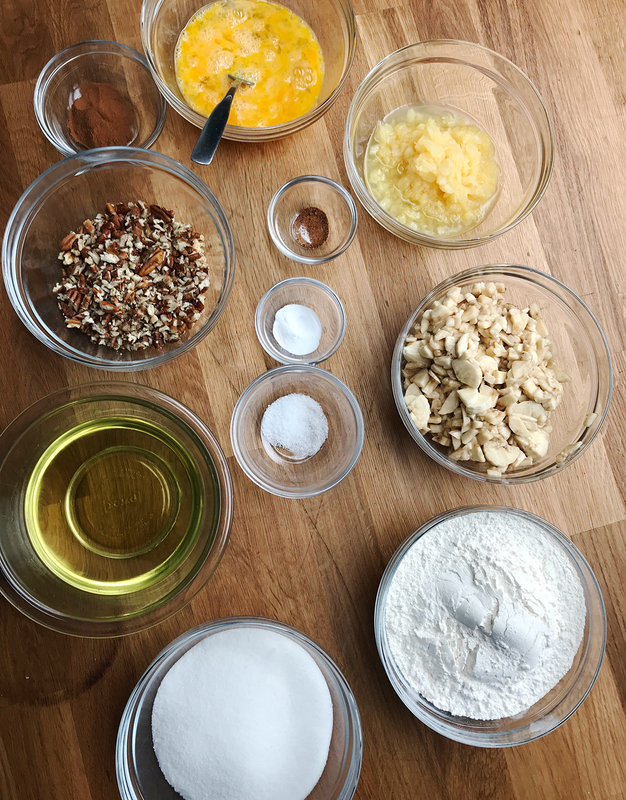 The rest was just a matter of mixing all the ingredients together in a bowl and pouring it all into the pie crust. THE RESULT: There are two cups of sugar in the filling of this pie. TWO. CUPS. I guess when you use that much sugar, you need a little bit of vinegar to balance it out. But still, you can definitely taste those two cups. I loved the texture which was so custardy, rich, and unique, thanks to the cornmeal. The first bite I took was magical and I was almost immediately smitten. But after a few more bites, I started feeling sick at how sweet it was and couldn't eat much more of it. I thought I had a sweet tooth, but I'm learning that the Southern version of sweet is almost too intense for me. TL;DR: First two bites are orgasmic, the rest is way too sweet. THE RECIPE: Classic Chess Pie from Southern Living. Like most American desserts, the Mississippi Mud Pie seemed slightly over the top to me. But as a chocolate fanatic, I was also particularly excited about this one. WHAT IT IS: Google the name of this pie, and you'll see that no two look alike. I was confused at first and didn't know where to begin. 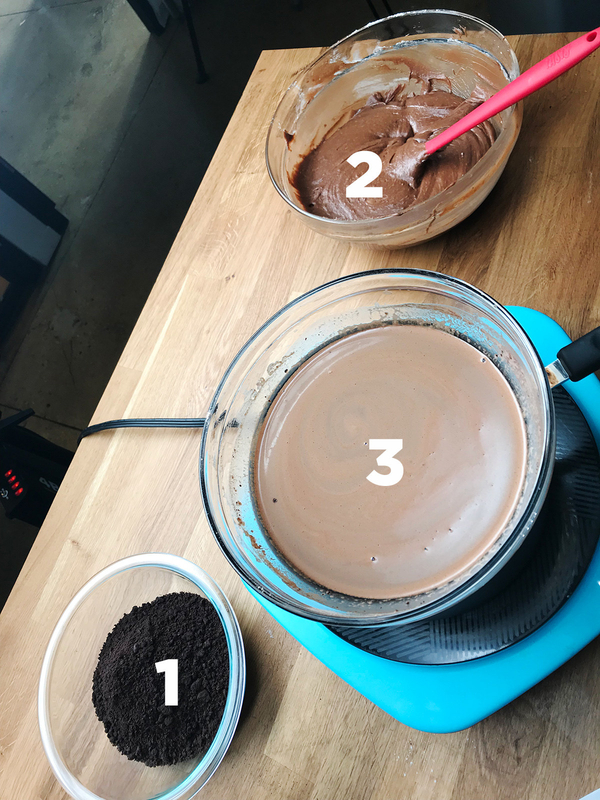 But after some research, I saw that a common iteration involved a pie crust topped with a layer of brownie-like cake, a layer of chocolate pudding, and some whipped cream. That's four layers in one pie, for those counting. THE PROCESS: Oy. This one wasn't easy. It just had so many different components (crust + brownie + pudding + whipped cream) and the recipe was at times a bit confusing. The hardest part was making the chocolate pudding. It involved a double-boiler, and the whole thing took FOREVER to thicken. The recipe also wasn't clear as to when the mixture was supposed to be thick enough. I waited for it to reach nappe consistency but in the end, even that was still too runny. I let the pudding rest overnight, hoping it would have thickened by morning but it was still way too runny by then. I was not happy. THE RESULT: I was so mad at my failed chocolate pudding that I was ready to start over from scratch. Right at that moment, Ben, a coworker from Mississippi who literally wrote a cookbook on Southern desserts (he's legit! ), walked by and told me this was the prettiest Mississippi mud pie he'd ever seen. I've heard Southerners are supposed to be very warm and polite, so maybe he was just being nice. Either way, I was swayed by this approval and decided to give it a chance, and I'm so glad I did. This pie is such an indulgent chocolate feast, it's almost indecent. The runny chocolate pudding turned out to be a smooth chocolate ganache that perfectly complemented the dense brownie base. But what took this pie to stratospheric levels of decadence was the light, fluffy, and unsweetened (that's crucial) whipped cream on top. It balanced out the intensity of all the chocolate in the pie and prevented it from being too sweet. Sure, it was messy as hell — but now I feel like that's almost part of its charm. TL;DR: It was a struggle to make, but all worth it in the end. 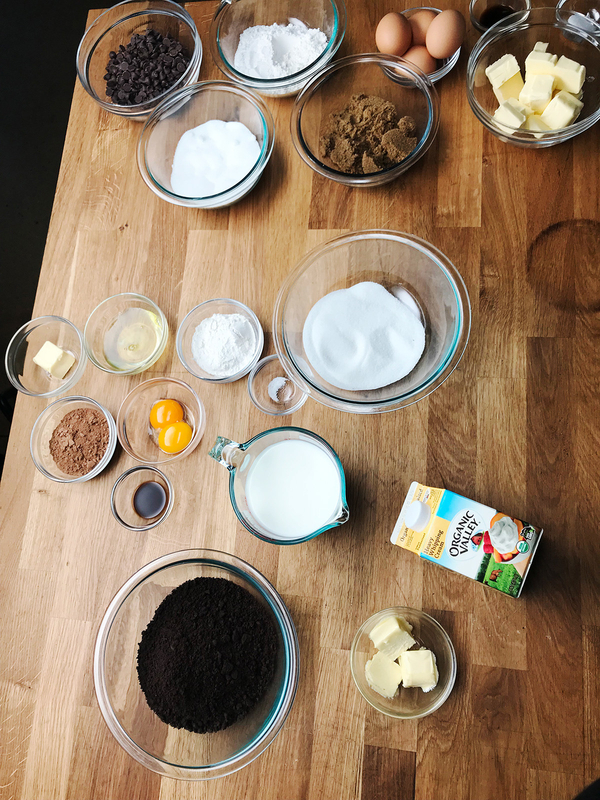 THE RECIPE: Mississippi Mud Pie by Carla Hall. Layer cakes have always seemed unnecessarily complex to me. In France, homemade cakes only have one delicious layer and they're perfectly fine that way. But after six years in this country, I know Americans love their layers and there's nothing I can do about it. 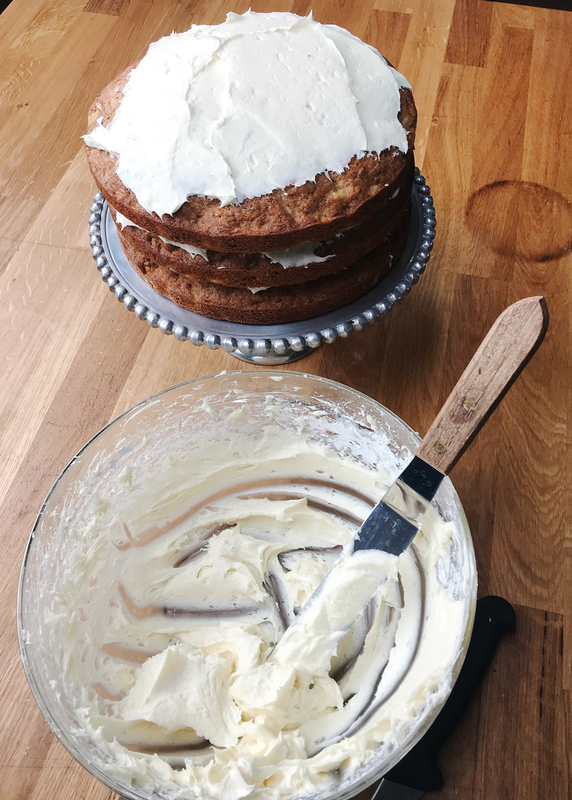 WHAT IT IS: A hummingbird cake is a three-layer banana, pineapple, and pecan cake with cream cheese frosting. Which, again, sounds like a lot, to be honest. Although it's considered a Southern classic, it actually originated in Jamaica, and its name is a reference to the Doctor Bird, a type of hummingbird that only exists on the island. A version of the recipe was published in Southern Living magazine in 1978 and it quickly became a regional favorite. 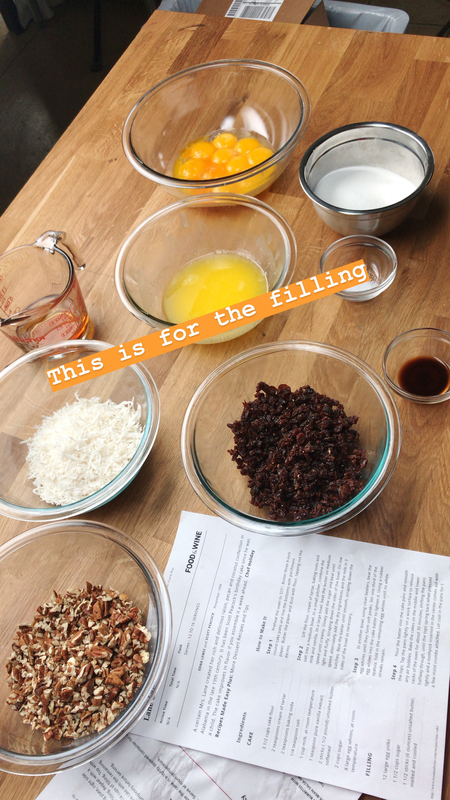 THE PROCESS: Going into it, I thought this recipe would be involved and complicated, but as far as layer cakes go, it was fairly straightforward. 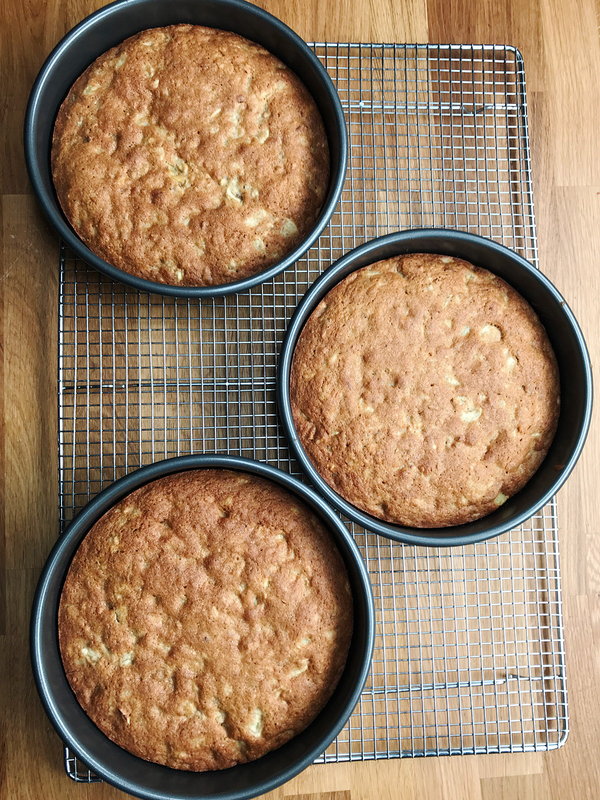 All you need to do is mix the ingredients in a bowl, divide the batter into three cake pans, and pop those into the oven for about 30 minutes. 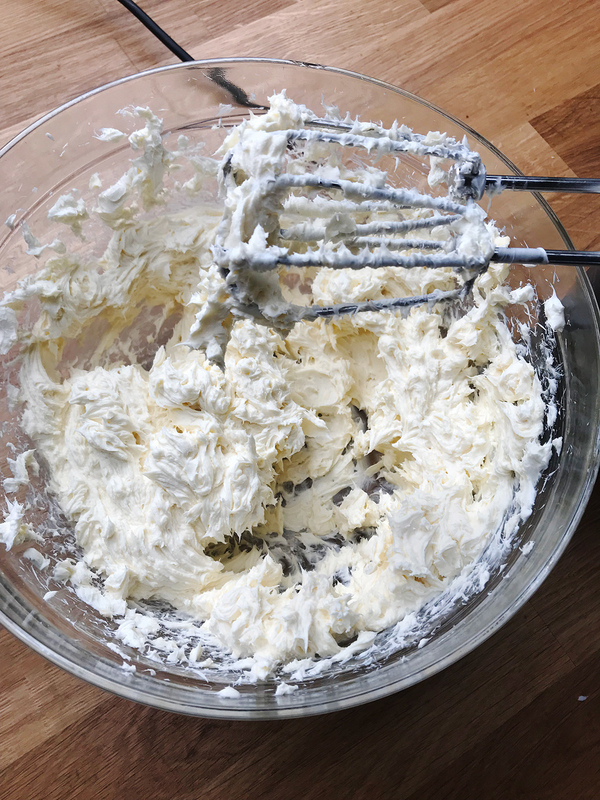 Once the cakes have cooled, you can start making the classic cream cheese frosting. TL;DR: I take back everything I said about layer cakes, this one is incredible, why isn't it on the menu of every pastry shop in the world?? 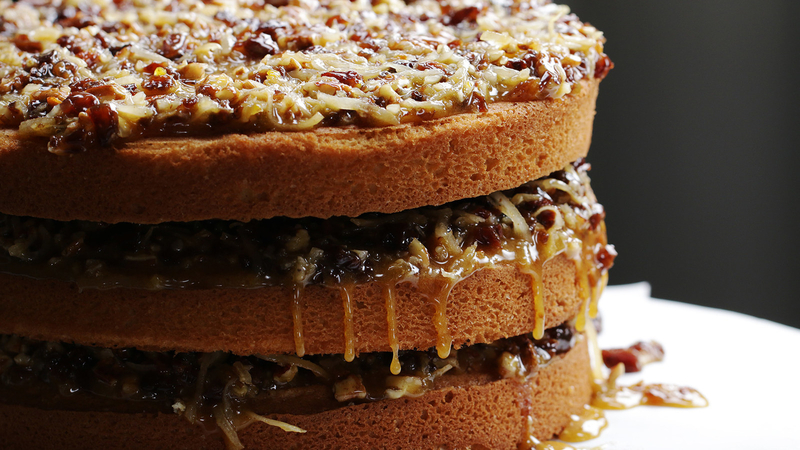 RECIPE: Classic Hummingbird Cake from Southern Living. 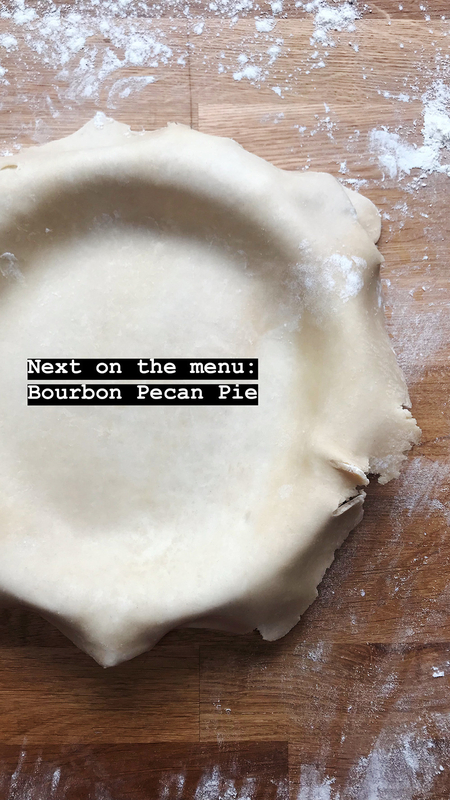 WHAT IT IS: It's a pie with a traditional crust and a filling made of (among other things) pecans, corn syrup, and bourbon. Sidenote: Because this pie is often associated with Kentucky, this led to a debate among my Southern coworkers over whether Kentucky is part of the South or not. Someone from South Carolina said that it wasn't. Someone else from Kentucky felt particularly attacked. Maps of the Mason-Dixon Line were pulled up and examined and a chef from Mississippi finally declared Kentucky a Southern state. Please share your opinion on this matter in the comments. In the meantime, let's go back to our pie. THE RESULT: I don't know what was wrong with the pecan pie I tried a few years ago because this pie, THIS PIE (! ), was a masterpiece. At the first bite I took, my soul ascended to heaven and watched over me from above as I wept. It was rich, decadent, with the perfect mixture of smooth and crunchy. It was glorious. TL;DR: Pecan pie is the absolute greatest. Don't @ me. 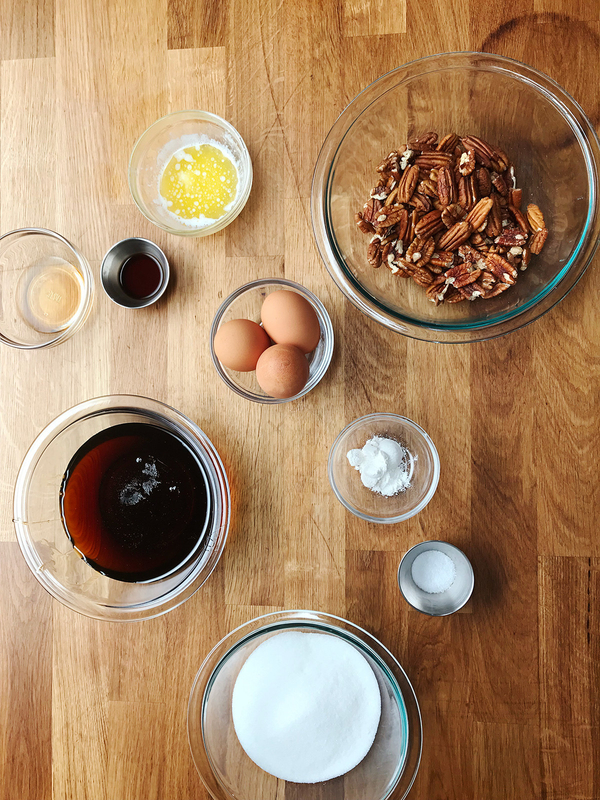 THE RECIPE: Bourbon Pecan Pie by chef Hilary White in Garden & Gun. After a week of baking, I can now say that Southerners really are the kings and queens of American desserts. 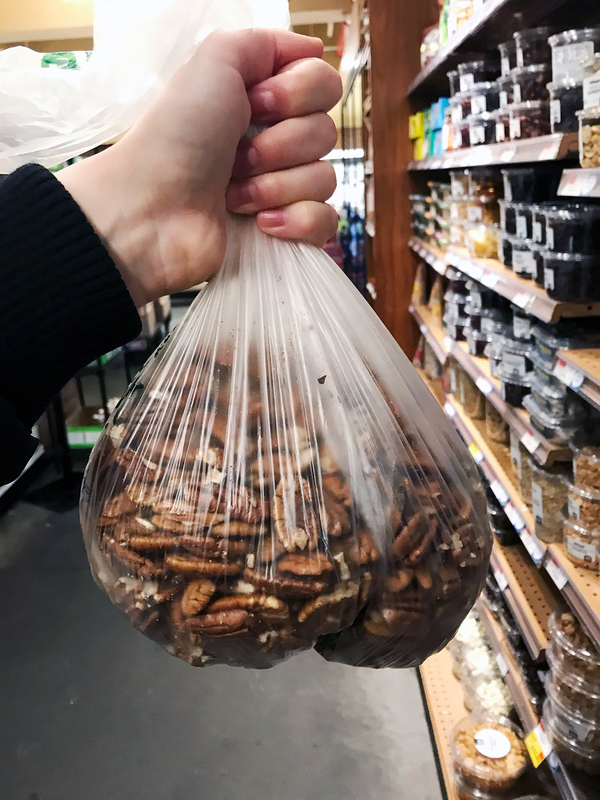 They're also pretty much obsessed with butter, sugar, and pecans — which is fine by me. What's your all-time favorite Southern dessert? Tell me in the comments!